KIRSTEN M. DUNNE is an associate attorney at GWC, where she heads the firm’s Appellate department. Kirsten handles cases involving various different aspects of tort liability, such as construction negligence, premises liability, automobile accidents, and product liability. A graduate of the Notre Dame Law School, Kirsten has received the William J. Harte Amicus Volunteer Award five times, most recently in 2016. 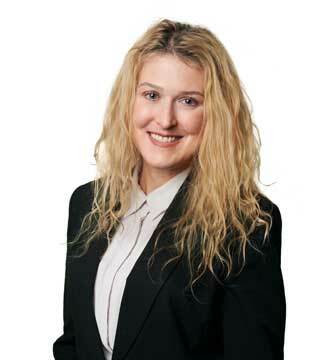 Kirsten is licensed to practice law in the State of Illinois. She is a member of the Illinois Trial Lawyers Association and the Animal Legal Defense Fund. In her free time, Kirsten enjoys spending time with her family, traveling, and working as a volunteer with animals. She is an avid sports fan.